My master bath is almost completely gutted. My wife and I have decided on a tiled shower with a seat or bench versus a tub. I plan on doing most of the work my self except the plumbing. what would be the best approach on the tiled shower project based on all the new technology currently available? I am in no rush and have an alternate bath in use. In other words John, if you were building a bathroom from scratch appx. 8'by 8' how would you do it? I have searched your site and the information is excellent. Hi, Tito! Welcome to the forum! John will be around in a little bit. 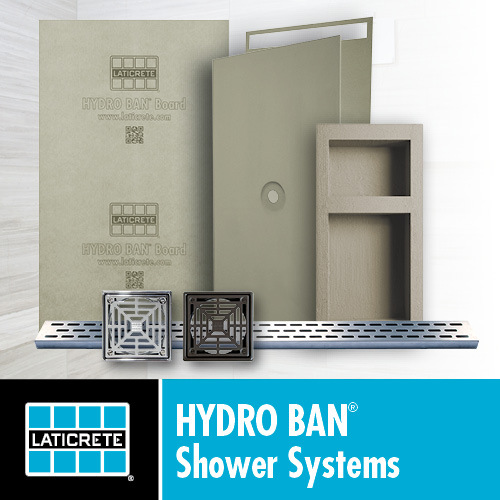 Are you asking which methods for installing tile (mud bed, CBU, etc), or what kind of goodies to put into your shower? Which ever, we're here to help you through your project. Glad to see you have an alternate, 'cause this kind of work takes patience, not a line of kids needing the bathroom while you are grouting! Bob, I bet John would do mud for hisownself, but I don't know if he'll recommend it. Kerdi showers have seen good comments here, and the tried and true mud pre-slope/liner/top deck with cbu on the wall is still very popular. Hang tight, opinions will be coming. Thanks for the comments guys, I think I'll be abit more specific. The bathroom is about 8 by 8, its on the second floor, it has a full size window in the middle of the wall that faces the front of the house, and a radiator below it. Basically what my wife and I would like is tile flooring, tiled shower, pedestal sink and a "turlet"
on anything, but in specific what approach to take for tiling the floor and the shower. I'm working on trying to get a picture or two of the gutted bathroom. Thanks for the help.